The Royal Agricultural & Horticultural Society of South Australia (RA&HS) was established in 1839, just three years after South Australia’s proclamation. The RA&HS presented its first Royal Show in 1840 and in 2014 celebrated its 175th anniversary and 239th Royal Show. In the early years the RA&HS held an autumn and spring show. The RA&HS applied for membership of the Royal Agricultural Society of the Commonwealth (RASC) in 1958, and Mr John Ayers represented the RA&HS at the 1960 RASC meeting in Cambridge, England where its constitution was adopted. RASC membership has been a positive investment for the RA&HS and in particular through representation at the bi-annual conferences. One of the highlights of the conferences has been the opportunity to participate in the host country’s cultural experiences. In addition to the diversity of topics presented over the many conferences, the more recent introduction of event related topics and specific programs for the; next generation, presidents and chief executives has been well received by delegates. Importantly the conferences provide opportunities for networking and forging friendships amongst people with diverse backgrounds but similar interests. At the 2004 RASC Conference in Albury I had the pleasure of meeting Norfolk chief executive John Perling. Through this introduction the RA&HS hosted a six week staff exchange with Steven Hood, showground manager from the Royal Norfolk Agricultural Association. 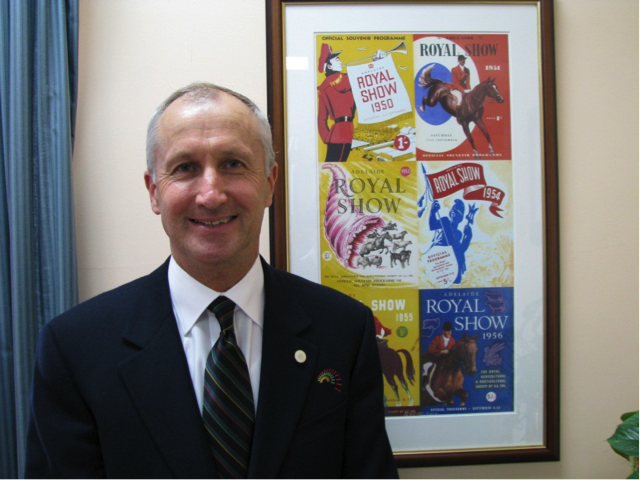 Stephen’s trip was scheduled to coincide with the preparation and staging of the 2005 Royal Adelaide Show which attracts over half a million patrons and more than 33,000 competitive entries annually. Stephen’s work experience was spread across all divisions of the RA&HS including all aspects of the Show. During his visit Stephen was hosted in the homes of three RA&HS staff which provided an authentic Australian experience. Stephen subsequently wrote an article about his experience in Australia in the February 2006 RASC newsletter and without doubt both the Adelaide and Norfolk Societies benefitted from the exchange. I would like to congratulate the RASC on the innovative program delivered at the recent conference hosted in Brisbane, Australia and look forward to opportunities the RASC offers to its members in future years.